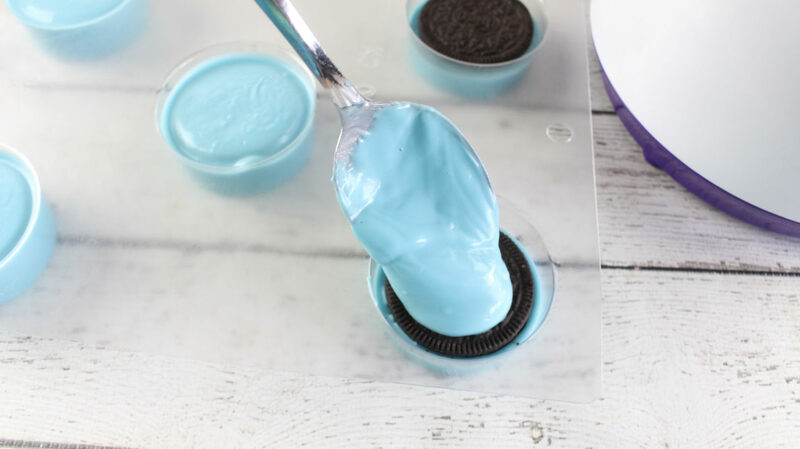 Once you put in your Oreo’s, use the rest of the melted candy and cover the top. Try to fill it all the way to the top so they are even. 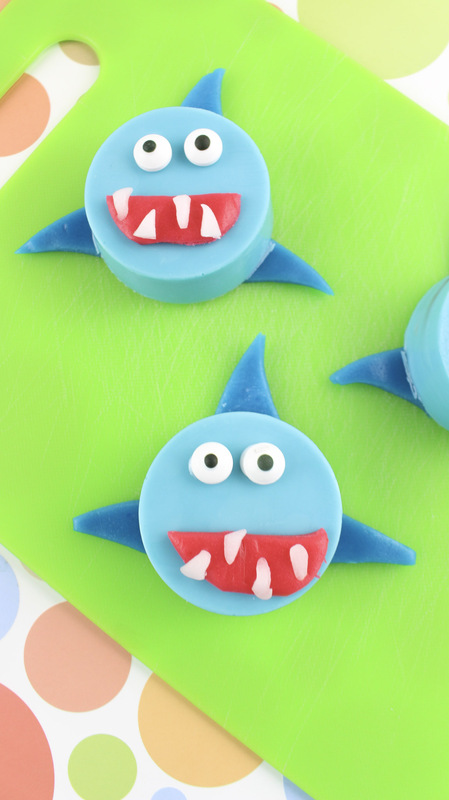 After you’re done, stick them in the fridge for 30 minutes and start making the shark face. To make the sharks face and fins, you want to use air heads. I used airheads because I love them. You can also use fruit roll ups. You want to cut the blue airheads into fin shapes. Kind of like a triangle with a slanted point. The red airheads will be the mouth and the white airheads are the teeth. I wanted my shark to have funny looking teeth so I cut my teeth funny. 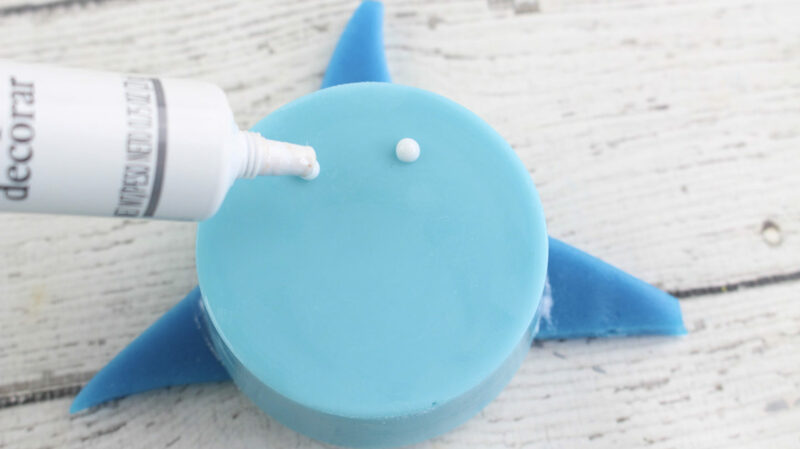 To glue on the face and fins you want to use a gel tube or icing. Put a little on the edges of the fin and then sit your cookie on top to hold it in place. Try not to pick it up for 30 minutes so it can dry and stick. 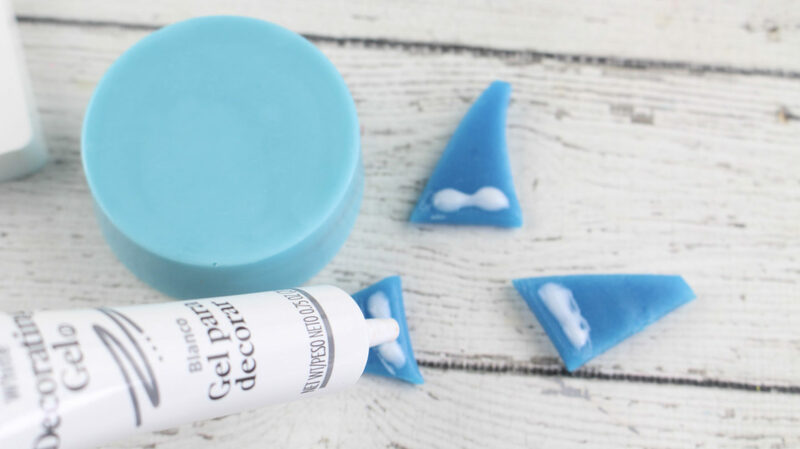 Use the same gel or frosting to glue on the eyes, mouth, and teeth. You want to let them dry so everything will stick. If you don’t want to wait you can put them in the fridge for 10 minutes. Don’t they look super cute?!?! I want to try and make the goldfish ones I saw and a few other ones I’ve seen on Pinterest. 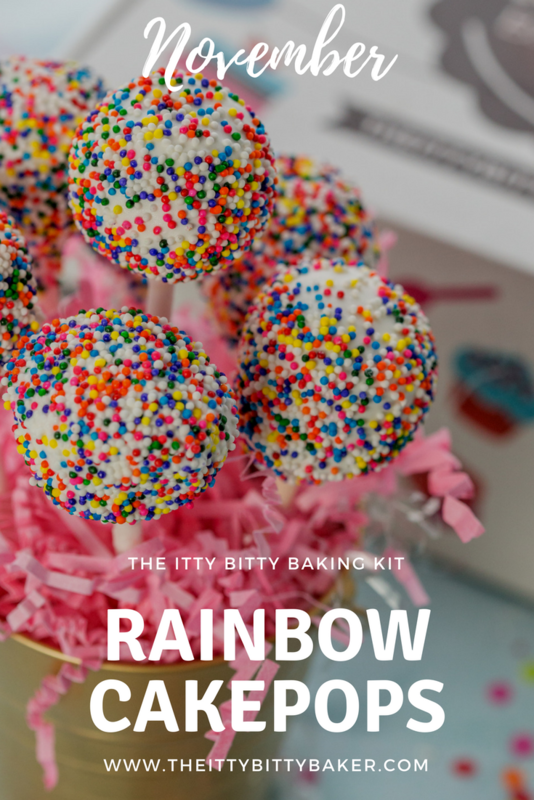 If you end up making these please post them on Instagram with the hashtag #imanittybittybaker and tag me @reesealvarado, I would love to see them and share them on my page. Heat the blue candy melts in a Wilton candy warmer or double boiler pan until completely melted and smooth. 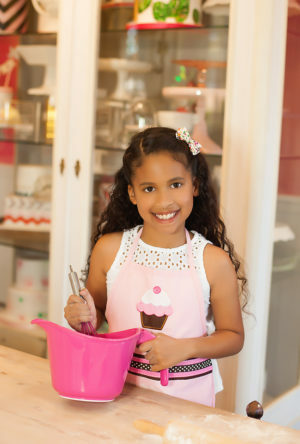 Pour 2 Tablespoons of the melted candy in each cookie mold. Place an Oreo cookie in each mold, on top of the melted chocolate. 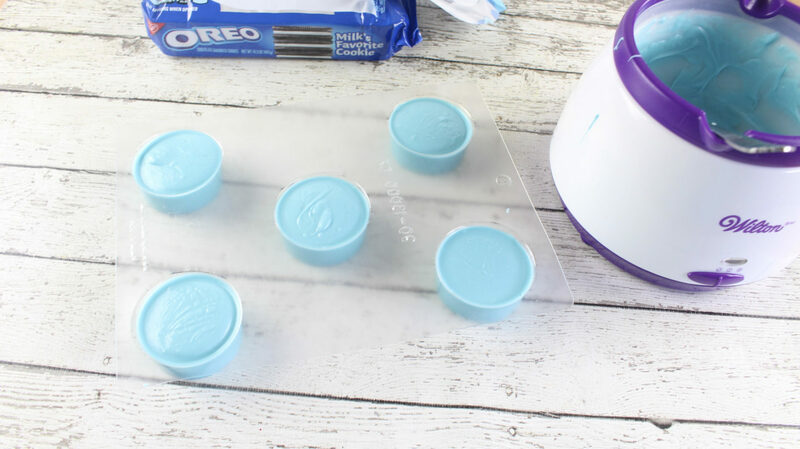 Pour additional melted blue candy on top of each cookie, up to the top of each mold. Refrigerate for 30 minutes to allow the chocolate to harden. 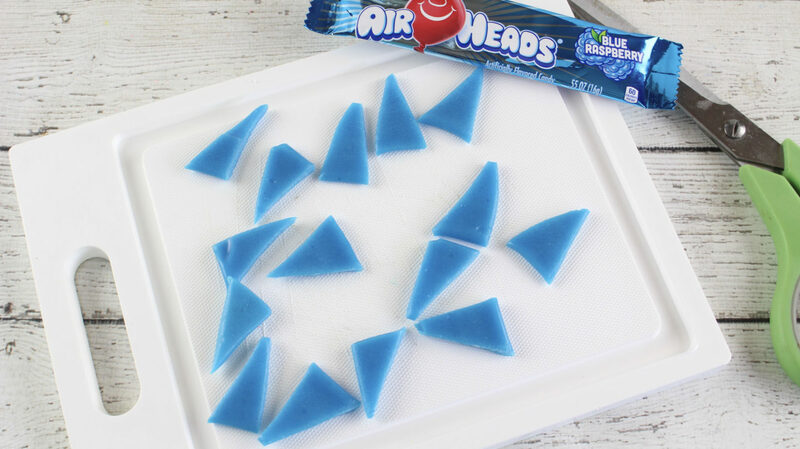 For the shark fins, cut out 18 (1 1/2 inch long) triangles from the blue Airheads. Set aside. 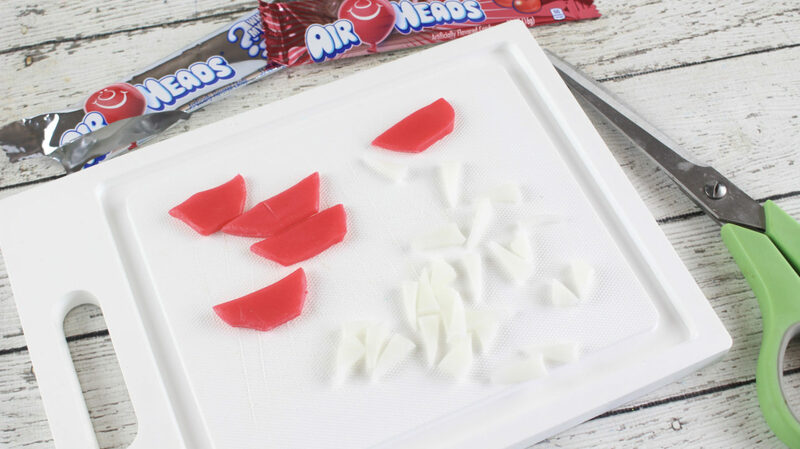 Cut out 6 shark mouths from the red Airheads candy. You can make them any shape you like, just be sure to make them large enough to fit the shark teeth in them. Cut out 24-30 sharp teeth from the white Airheads candy. 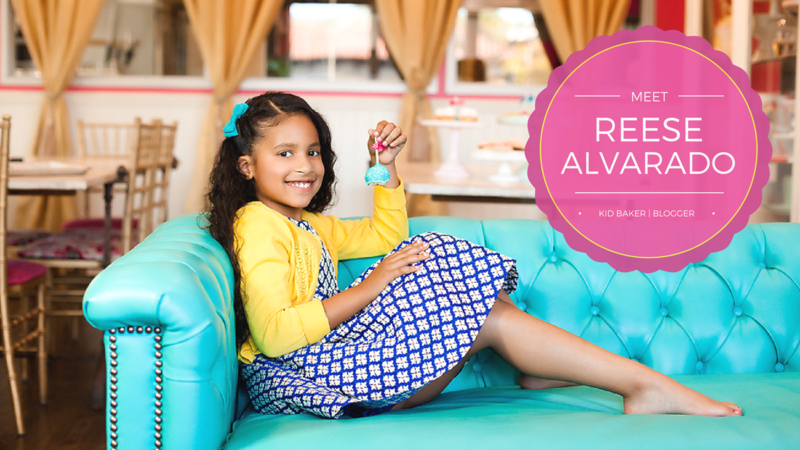 Apply a small amount of icing to the back of each tooth and place on the red mouth. Give each shark a few upper teeth and some bottom teeth. I used 4-5 teeth per mouth. Line a cookie sheet with parchment paper. 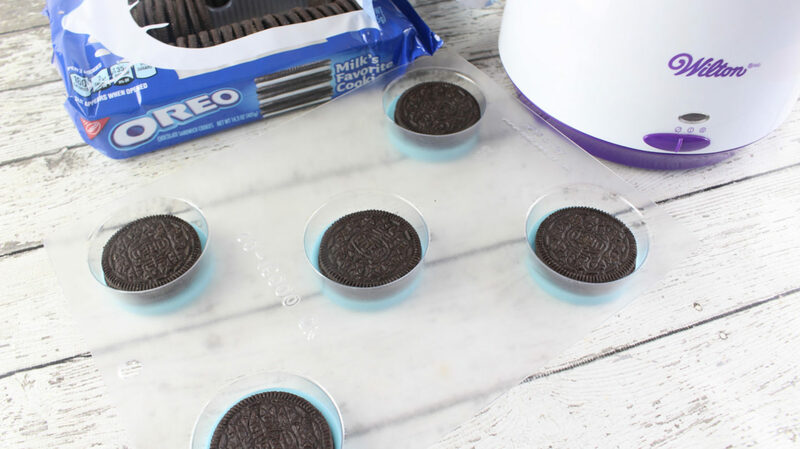 Gently pop out the chilled Oreos onto the cookie sheet. Pipe 2 dots of icing on each cookie and place the eyes on the icing. Press down gently. Pipe icing on the cookie where each mouth goes and gently lay the teeth-filled mouths over the icing. Press down gently. For the top shark fin, gather 6 of the blue triangles and gently bend the upper tip to the right. This will give the fins a slight curve. 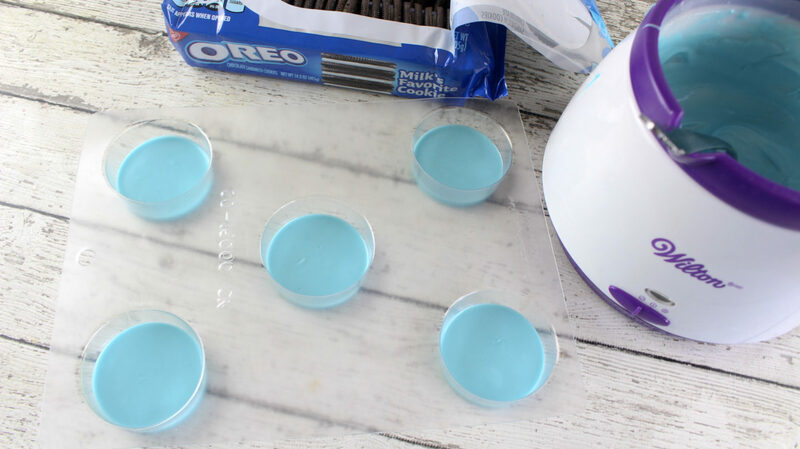 Apply icing across the bottom of each top fin and lay the top edge of the Oreos on top. Press down firmly. For the 6 left fins, apply icing across the bottom of each fin and attach to the left back edge of each Oreo cookie. Press down firmly. (If you would like a curve to the fins, stretch the tip of the triangle slightly down to the left). For the remaining 6 right fins, apply icing across the bottom of each fin and attach to the right back edge of each shark cookie. Press down firmly. (If you would like a curve to the fins, stretch the tip of the triangle slightly down to the right). 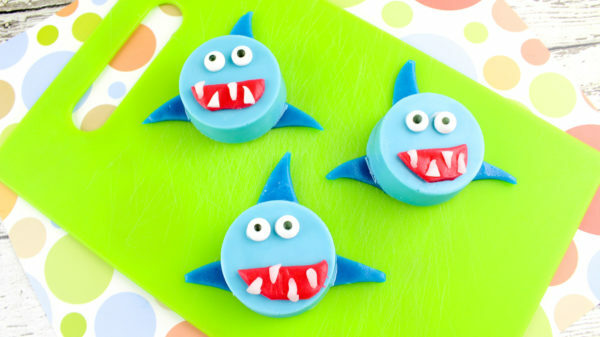 Leave the shark cookies on the cookie sheet and place in the refrigerator for 20 minutes for everything to "set." This post contains Amazon Affiliate links. This means when you click a link I'll earn a small commission so click away and support a kid baker!